“We realized as women in the policy world, we were at times disadvantaged, we wouldn’t get an opportunity to speak, we were told you don’t have the right titles, you have not written enough yet. Some of the women regularly contributed to research and writing drafts, but were not being mentioned as authors. You have the male heads of think-tanks being put on panels, but asking their younger female colleagues to provide speaking notes.” Said Corinna Horst, Senior Fellow and Deputy Director, Brussels Office of the German Marshall Fund of the United States. Co-founder of the Brussels Binder, a directory of female policy experts. 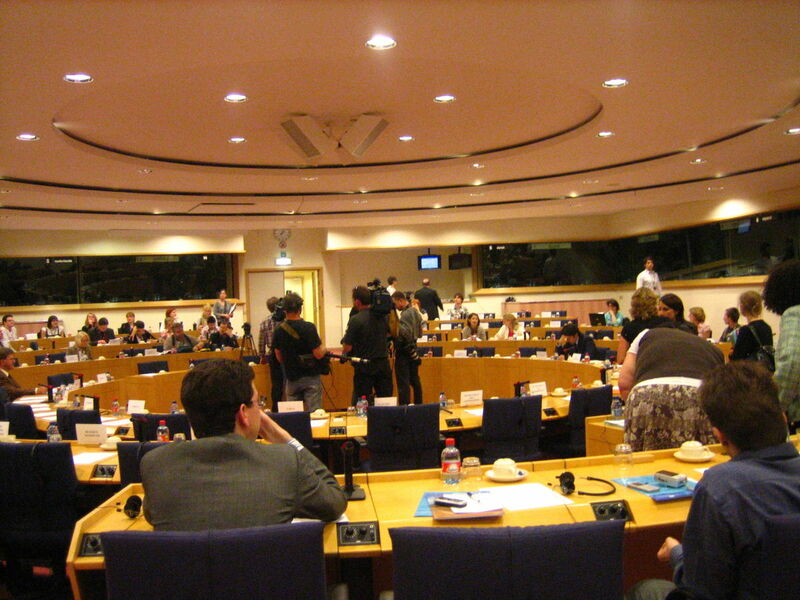 Europe’s top 23 policy events feature an average of three male speakers to every woman, according to an Open Society Foundations report published on Thursday. The organisation warned that the EU could not achieve gender equality without more female role models taking the stage at key policy debates. “These events reinforce the glass ceiling by presenting men as more important decision makers and limiting networking opportunities for women,” said Christal Morehouse, the report’s author and senior program officer for the Open Society Foundations. “The policies being debated affect women and men equally – it’s perplexing that in 2018 women still don’t have an equal opportunity to shape them.” The report, An End to Manels: Closing the Gender Gap at Europe’s Top Policy Events, uses a five-year statistical analysis of 12,600 speakers at leading European policy conferences to quantify, for the first time, the exact extent to which men dominate the stage. Among the worst events for gender balance were the Munich Security Conference, which hosts just three female speakers for every 17 male ones, and the Davos World Economic Forum, which averaged one female speaker for every four men. Both conferences provide an arena at which heads of state, business and think-tank leaders learn from each other’s experience and research. The international press report what speakers say from these podiums to the world.